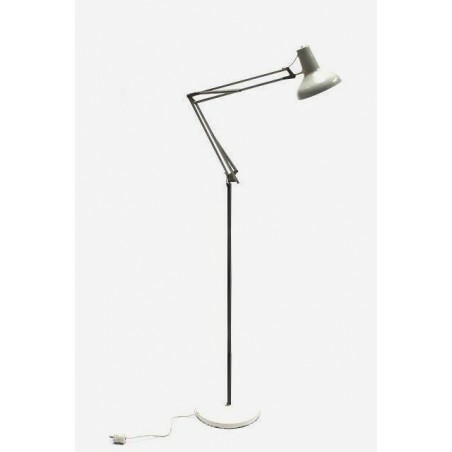 Standing architect lamp with a very light grey shade. 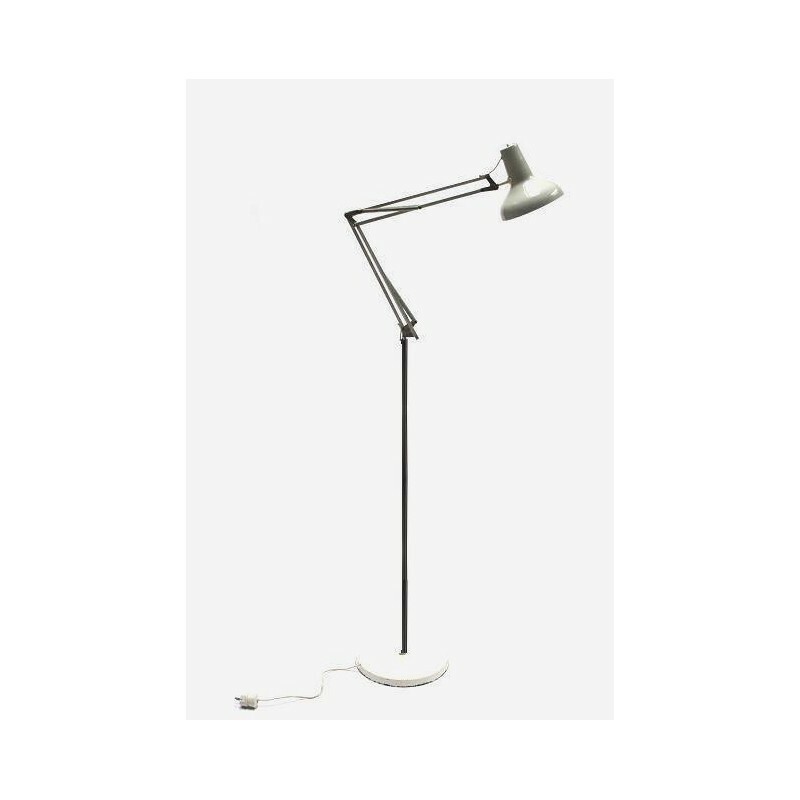 The lamp has a adjustable arm, which can direct the light easily. The base is white, there are some traces of use on it ( see detailed pictures). The overall condition is fairly good. 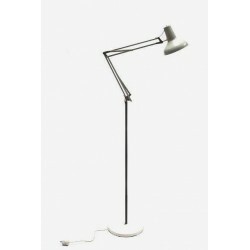 The dimension is maximum 165 cm high and the shade is 18,5 cm in diameter.